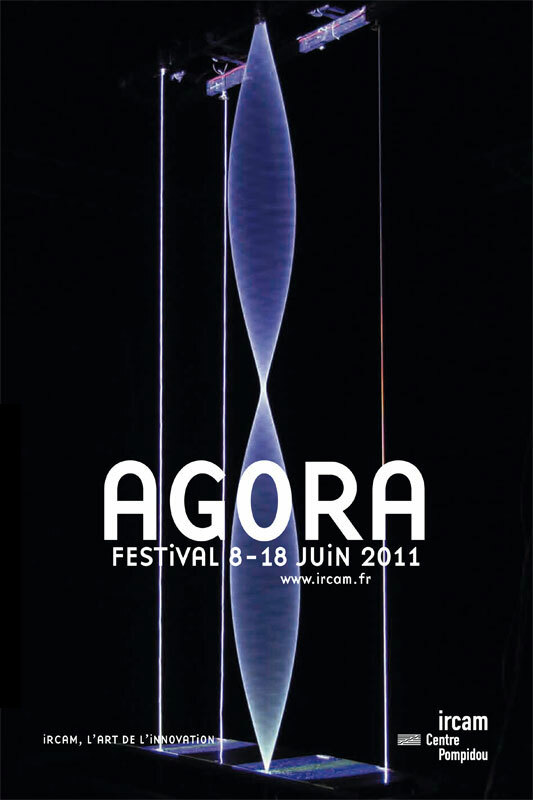 The dialogue at the heart of Agora brings together exceptional artists (such as Pierre Boulez, Emmanuel Nunes whose 70th year will be celebrated by IRCAM, the figure of Karlheinz Stockhausen, and emerging artists) and renowned researchers such as Alain Connes and Alain Badiou. In this shared and lucid multiplicity, Stockhausen is a vital master of computational frenzy and visionary intuition. The man who forged and traveled each path until exhaustion—electronic music in space or in opera, writing the absolute order or the freedom of intuitive music—conceived his oeuvre as prospective and archetypical. A substantial journey that bends from the original to the "primeval", from the force of youthful beginnings toward the praising of origins in later works. Crossing through Agora and several Parisian locations, the instants of Klang, the ultimate unfinished cycle by Stockhausen, calls for a final time the unity of the totality shared on the world stage. 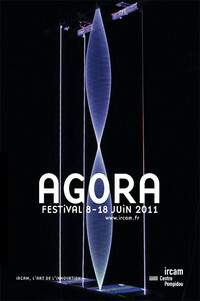 The metamorphosis of theater for performing arts is at the heart of Agora 2011. It can be seen in Les Temps tiraillés by Myriam Gourfink performed in Anish Kapoor’s installation at the Grand Palais, in Tales of the Bodiless by Eszter Salamon at the Centre Pompidou, and in the opening, the creation of Luna Park by Georges Aperghis at IRCAM. The "theorem" of this new adventure in musical theater, equality between the real and virtual worlds, presents human and synthesized voices in unseemly or unexpected situations. How does a substantial multiplicity transform the totality of a sonorous and visual space? This interrogation invites us to an expressive and mathematic overflowing reformulated by several generations of artists and aesthetics; the maze-like narrations of Berio (A-Ronne), space pulverized by the young Lindberg (Kraft), the immersive space of Ivan Fedele. In the beginning, the multiple on stage; its toss of the die, its logic, would offer the prosaic possibility of "saying us".